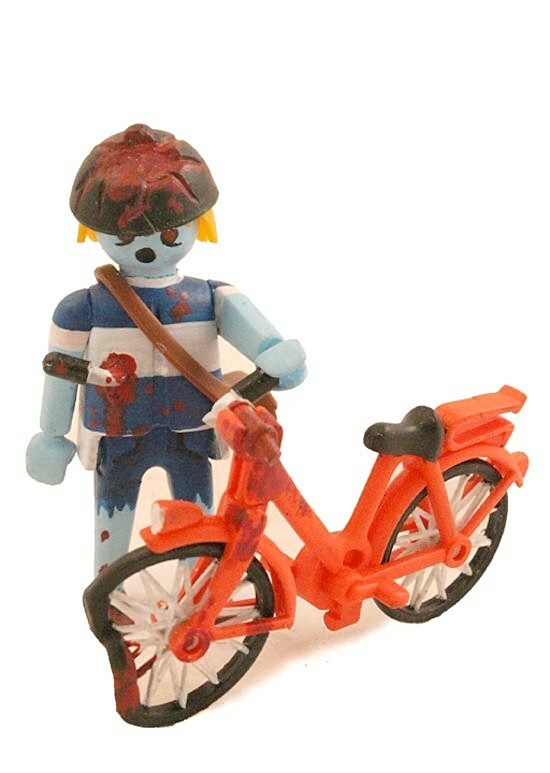 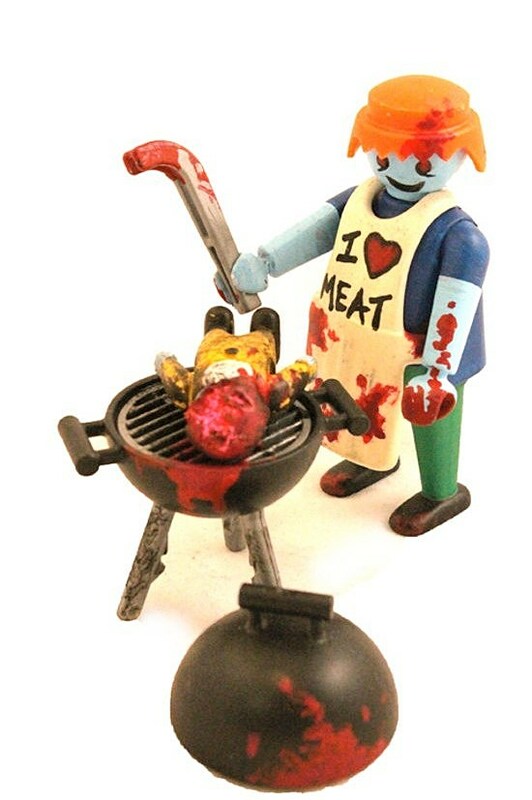 When I first read about Mikie Graham's Zombie Art Project selling zombified costomized Playmobil figures, I had to do a double take. 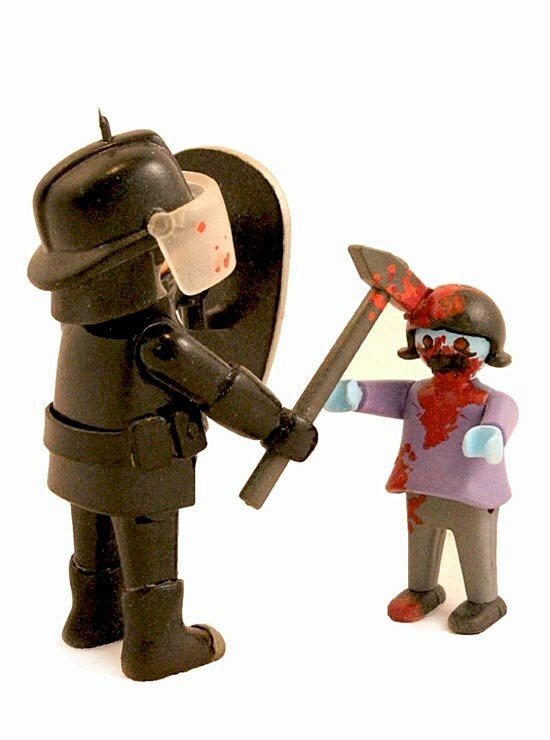 Surely the German toy line had covered the undead at some point along its 36 year history? 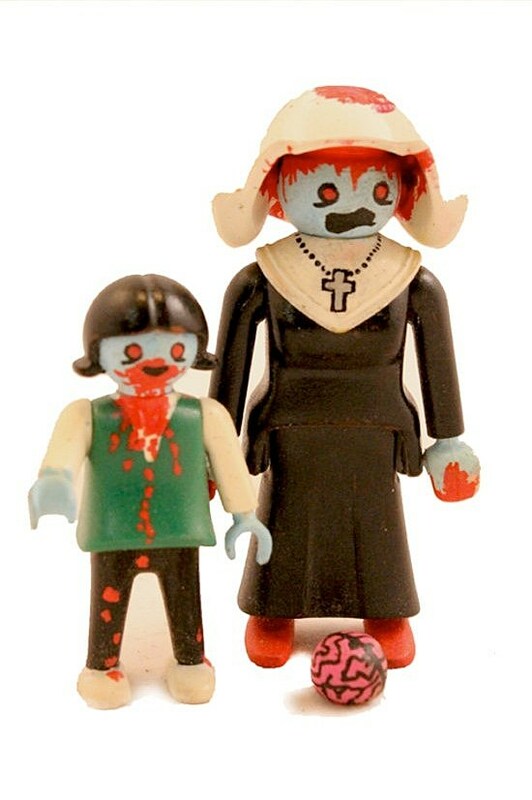 Though there are official Playmobil ghosts, devils, vampires, mummies, skeletons and monsters, Graham's $30-60 creations being individually sold through the month of October are definitely filling an untapped Playmobil niche.The Zombie Art Project picked a sensible time to peddle its wares. 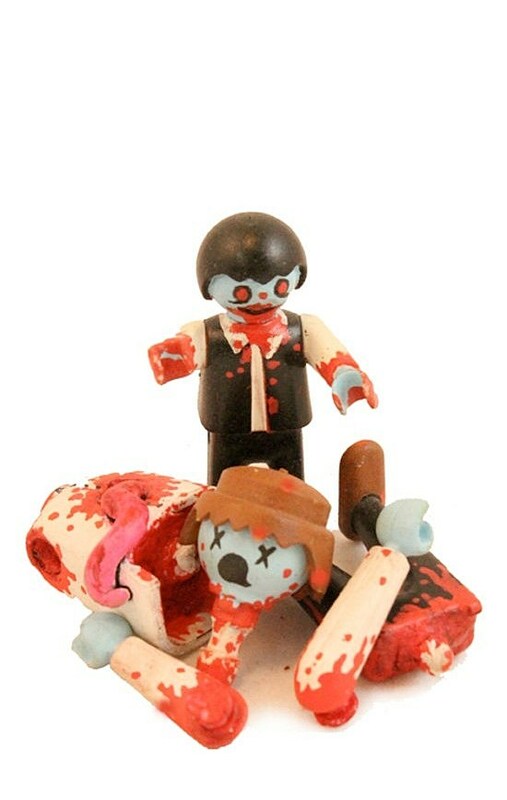 Though McFarlane Toys' The Walking Dead action figures are starting to arrive in stores in time for the second season of the TV series to premiere on AMC, this line fills that special plastic 3" hole in the hearts of folks who went to specialty toy stores stocked with stuff like science kits and Beanie Babies those wooden Thomas the Tank Engine toys with the magnets as kids and wondered why anyone would want giant Lego dudes without the bricks. 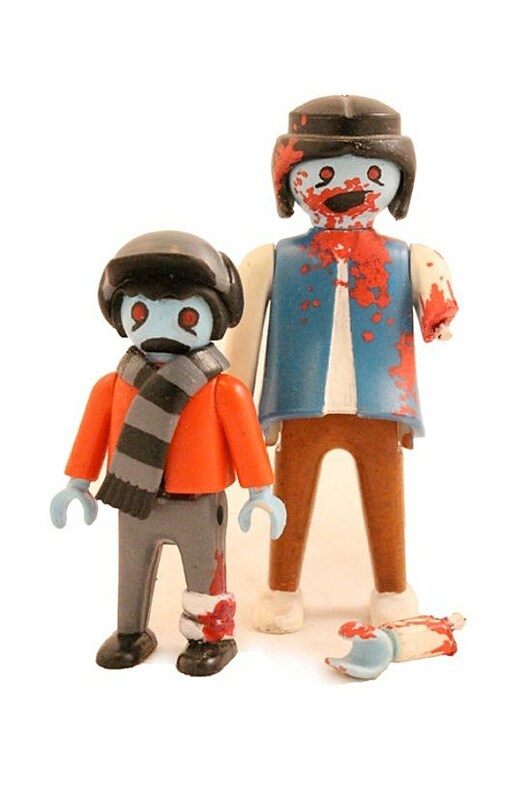 Well adult versions of those kids, it's because they look cool as custom zombies! 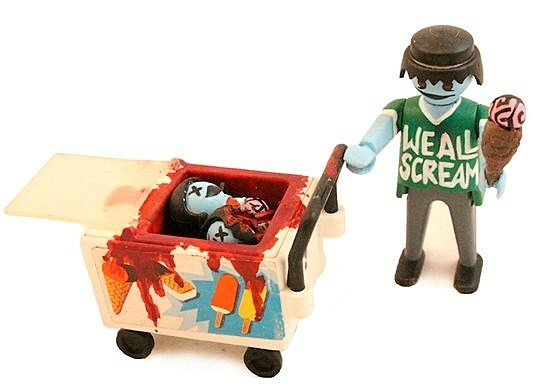 Are you satisfied now?! 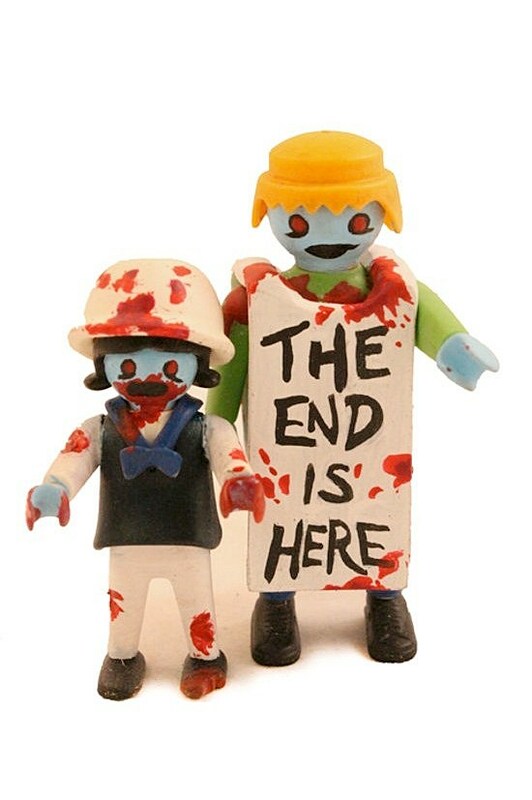 The customs are selling out pretty quickly, so if you're into the ZAP line, keep an eye on the official store.